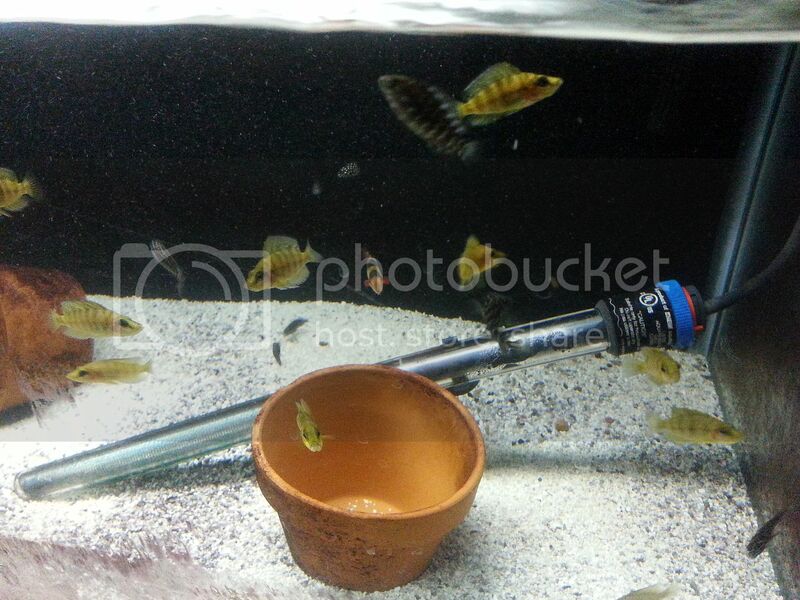 For Sale: WILD CAUGHT AND F1 MASWA AND OTHER STUFF. WILD CAUGHT AND F1 MASWA AND OTHER STUFF. WITH MY CAREER, FAMILY LIFE, AND OTHER HOBBIES IN FULL SWING, I HAVE DECIDED TO PART WITH MY WC MASWA GROUP. I HATE EVERY BIT IF THIS AND I'M HONESTLY ON THE FENCE ABOUT SELLING THEM AT ALL. I JUST HAVE SO MUCH ON MY PLATE RIGHT NOW AND I A WANT A " LESS IS MORE" LIFE. I NEED TO SLOW DOWN. THIS IS NOT GOING TO BE A FIRE SALE. THIS IS A VERY VALUABLE GROUP OF FISH. THIS GROUP HAS PRODUCED HUNDREDS OF FRY. NO JOKE. I HAVE TRACKED AND COUNTED EVERY FRY SOLD AND WHERE THEY WENT. INSANELY PRODUCTIVE GROUP. I AM WILLING TO DRIVE SEVERAL HOURS TO MEET A BUYER HALF WAY IN ORDER TO AVOID SHIPPING. I HONESTLY DONT WANT ANYTHING TO HAPPEN TO THESE AMAZING FISH. I LIVE IN VIRGINIA AND IF YOU ALSO ARE WILLING TO DRIVE A FEW HOURS, THAT WILL ALLOW SALE TO MANY PLACES IN THE NORTHEAST OR SOUTH EAST. I HAVE MY WC GROUP AND A JAW DROPPING GROUP OF F1's THAT ARE ALMOST FULLY BANDED AND 3" IN SIZE. THE F1's ARE ALL OFF MY VERY BEST FEMALE 'WIDESIDES' AND ARE THE VERY BEST YOU WILL FIND. YES.. I SAID THAT. ITS A GROUP OF ABOUT 14-15 THAT STARTED AS A GROUP OF 20. I HAVE IT CULLED DOWN TO THE VERY BEST THREE MALES AND THE RES ARE FEMALES. SO I HAVE WORKED OUT THE RATIO FOR YOU AND THEY ARE STARTING TO SPAWN. THESE ARE NOT FOR SALE FOR FRY PRICES. THESE ARE SEXED, BANDED UP SUB ADULTS. I WOULD LIKE TO SELL THE WC's AND THE F1's TO ONE PERSON IF POSSIBLE. PEOPLE WILLING TO DRIVE AN MEET ME HALF WAY AND PEOPLE WANTING THE ENTIRE GROUP WILL GET THE BEST DEAL. I WILL ALSO INCLUDE A VERY LARGE AMOUNT OF ULTRA HIGH QUALITY FOOD FOR THEM TOO. PLEASE SEND ME A MESSAGE FOR FURTHER DETAILS AND MY PHONE NUMBER ETC. A PAIR OF TANGANICODUS 'KIGOMA' GOBY'S THAT I AM PARTING WITH AS WELL. THEY ARE BONDED AND HAVE BEEN FOR WELL OVER A YEAR AND THEY SPAWN ALL THE TIME. AND A BUNCH OF 2" GOLD HEAD COMP FRY. VERY NICE. CAME FROM PKUT. I WILL SELL THESE ODDS AND ENDS SEPARATELY FROM THE ADULT MASWAS BUT WILL GIVE SOMEONE A GREAT DEAL ON THEM IF THEY WANT THEM ALONG WITH THE ADULTS. Goby's have sold. Thank you. Large F1 Maswa are in discussion and pending. I will update and get back to those that have shown interest if the deal falls though. Shipping will be available on them. 14 - Gold Head Compressiceps - Very nice color on them. From forum member, Pkut. Most are near 2"... Took forever for them to get this big. $120 takes the entire group. Well worth it based on how slow they grow. 15 - 1-1.5" f1 Maswa fry. From my wild group. $150 takes the group. Available Comps: Sorry for the crappy pics.... They move so fast! Also, in the pics, the water is hyper oxygenated and very clean. Not dirty. Shoot me a PM if you'd like to discuss them. Thanks! Very nice job on growing out the Gold Head compressiceps John! They have turned out great! I'm sorry to see you're getting out of the hobby at this time. You have always procured exceptional fish for yourself and developed them in a superior manner. I'll miss you in the hobby, as i'm sure many other people will. Good luck to you! I'm going to miss good old MonsoonMan, I love watching that one YouTube video with the MEGA colony of RR's. Goodluck in your future endeavors my friend, and goodluck with your sales. Pkut and Rhickman, Thank you so much for the kind words! Update: The Comps are sold! 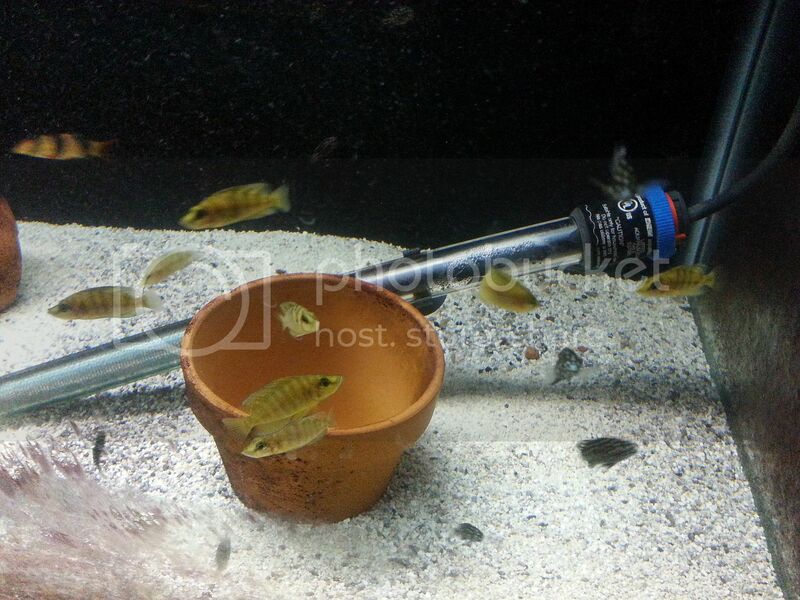 I do have a group of 11 tropheus Maswa fry that I will sell for a GREAT deal. Its the last group of fish I have left. I thought there were 15 and they were sold but its a group of 11 and they are available again. Just let me know if you are interested. Thanks!